Malaysia lies in the heart of the Indian Ocean and shares a border with Thailand on the Southeast Asia peninsula. It’s a beautiful country full of coastal plains and mountains, and is also rich in geography and cultural history. 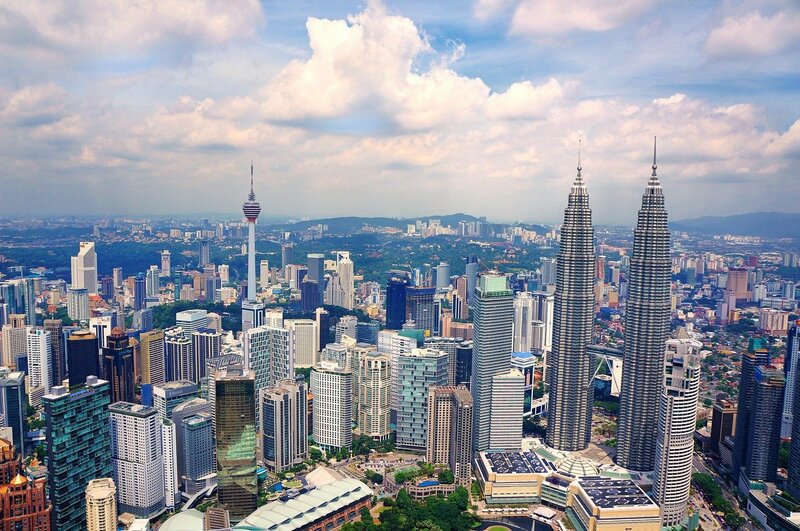 The capital and largest city of Malaysia is Kuala Lumpur, which has a wide range of high-tech public transportation systems ranging from an integrated rail network to one of the longest automated driverless metro systems in the world. If an expat is thinking of moving to a different location in Asia, for them, Malaysia is most likely the best bet. Malaysia has an expanding range of employment opportunities for expatriates in areas such as science, tourism, commerce and medical tourism. With a wide range of cultures, nationalities and religions, Malaysia offers expatriates a comfortable life full of securities and conveniences, luxurious shopping malls, quality restaurants, an affordable public healthcare system, international schools and universities and other great services. Malaysia is divided into two distinctive areas, with an equatorial climate, having both a monsoon and a dry season. It is positioned just outside the Ring of Fire and it is comparatively free from major earthquakes. There are also no active volcanoes; the only environmental issue that could arise is flooding in seaside regions during the monsoon season and the possibility of droughts in the dry season. A wide range of ethnic groups represent Malaysia, which bring exceptional and interesting cuisine as well as its diverse expatriate heritage. The core national populace is the native Malays, along with large populations of Chinese and Indians. If you’re looking for one of the most peaceful multicultural countries in South East Asia where Islam, Buddhism, Christianity and Hinduism all live together humbly and respectfully, then look no further. Malaysians are very much family-oriented people and as a result they place great importance on unity, loyalty and respect for their elders. The family in Malaysian culture can guarantee both emotional and financial care and they have no qualms with marrying outside of their culture/religion. The population of around 31 million people largely speak the official languages of Bahasa Malay, English, or Chinese, but English is broadly recognised across the country. For each religion and group of individuals there are differing festivals and public holidays. Because foods vary from typical Malaysian to Chinese, Indian, Indonesian, Japanese, Thai, and various Western-style outlets, Kuala Lumpur is known as the gastronomical hub of Asia. When a person visits in Malaysia, they experience the true reflection of its clearness of identity, in religion, customs and way of life. You can find various temples and mosques in Malaysia that provide social and religious principles for the parallel communities. In a social framework greetings will be determined by the culture of the person you are meeting. Your average Malays have a good knowledge about Western ways of greeting and will use a standard handshake with a smile on their face. Muslim women may feel uncomfortable shaking a man’s hands in public who is not part of their family and may lower their eyes when greeting men as a symbol of respect. It’s a good idea to follow the other person’s lead if you are unsure whether or not a handshake is expected. If anyone invites you to their home always bring a gift, such as good quality chocolates. Expatriates are not forced to follow Islamic traditions; they are free to practice their own religion. But always show respect for local culture and customs, to avoid offending locals. We would also advise that you dress conservatively. Malaysians make every effort to build relationships, and will avoid public humiliation or embarrassment. Expatriates should always reciprocate Malaysian complements with respect and never show anger or argue with someone in a public place. Their communication style is not always direct, so be prepared to beat around the bush to some extent. When an expat is planning on doing business in Malaysia, they must have some knowledge of the cultural difficulties related to this ethnically diverse country. Business in Malaysia is about uniting beliefs, so it is essential for expatriates to realise that they might deal with people from other countries. Viewpoints and behaviour might need to change in order to maintain a civil business environment. The typical business week is Monday to Friday and business hours are usually from 9am to 5pm. When making an appointment for a business meeting, avoid Fridays because this day is kept for Muslims to pray. In business Malaysians always believe in respect and deference to authority based on skills rather than on position or power. Malaysian companies also attach great importance to teamwork and collaboration with all members of the organisation. The typical management style also follows a holistic approach rather than being exclusively goal-driven. Understanding this can raise harmony and cooperation amongst teams in an organisation. In business always show your respect for authority and try to maintain a polite and respectful attitude in all situations, whoever you are speaking to. Grab the opportunity to work within a team and move towards your goals. Malaysia is a steady country, keen to curate a positive image in the minds of foreign businesses and investors’. It is one of the most sparsely populated countries in Asia, with a world-class airport, modern capital city, and excellent road network with a solid IT hub for the state. Foreigners can also purchase residential homes. For this, you can take out a loan locally or some companies can arrange short-term rentals and care for the property while you are absent. The crime rate is lower in Malaysia than in most Western countries. Health services are sufficient and private hospitals offer world-class treatment at a significantly lower rate than in many other countries. Malaysia offer one of the most welcoming residency visas in the world, with an online process which grants an extendable 10-year visa for foreigners of all ages, groups and races. Prices of modern conveniences, top quality medical care and foreign luxury products are generally lower than in many other parts of the world. You will find a range of very cheap and good quality electrical products. Cameras, computers and mobile phones are all low-cost. There are often sales and special offers, especially around religious festivals. You are required to apply for a visa in order to enter Malaysia. There are three types of visa – single entry, multiple entries and transit visa. With a visa in a passport or other accepted travel document you should have no problem entering the country. 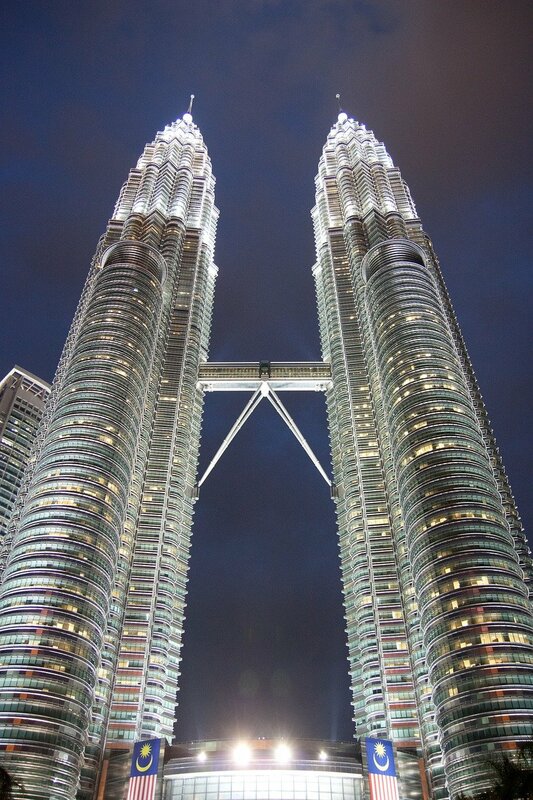 We offer a wide range of language translation services and business translation for Malaysia. Our experienced Malay translators are on hand for any of your translation needs. Contact us for more information and a quote today.